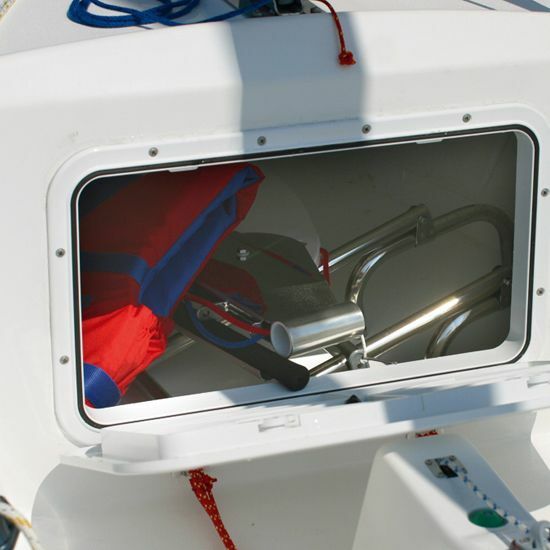 A very spacious boat particularly adaptable for either sailing schools or family outings. 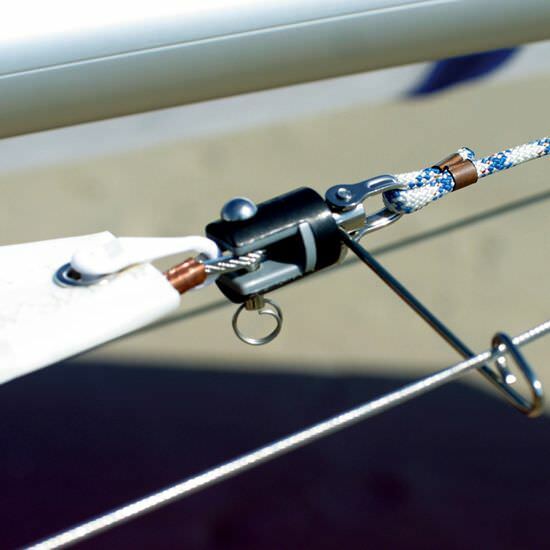 It introduces the novice sailor to the fundamentals of sailing accompanying him every step of the way into the fascinating world of sailing In total safely. 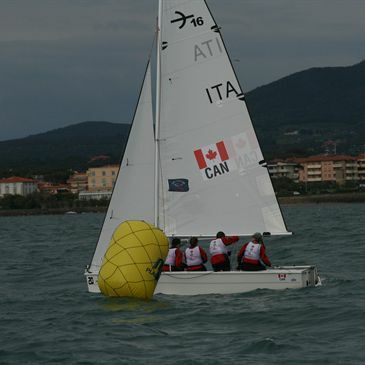 It's avant-garde hull design allows the boat to reach a good level of performance thanks also to the optional over sized main sail. 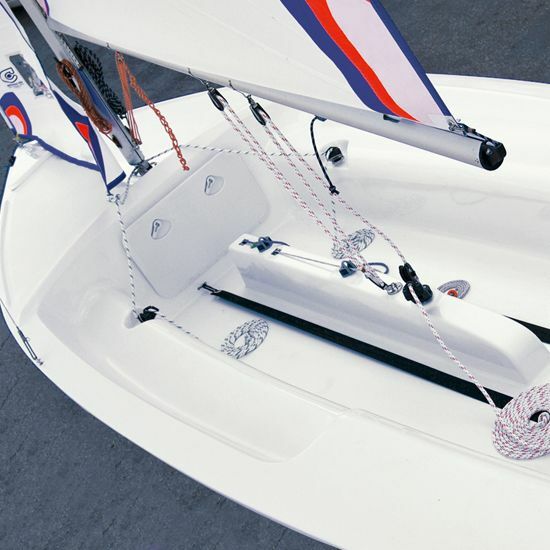 Particularly strong, the cockpit Is self draining with ergonomically inlaid seating, the ample watertight locker and the anchor locker makes this centreboard dinghy Ideally suited for long day sailing in pure tranquility. 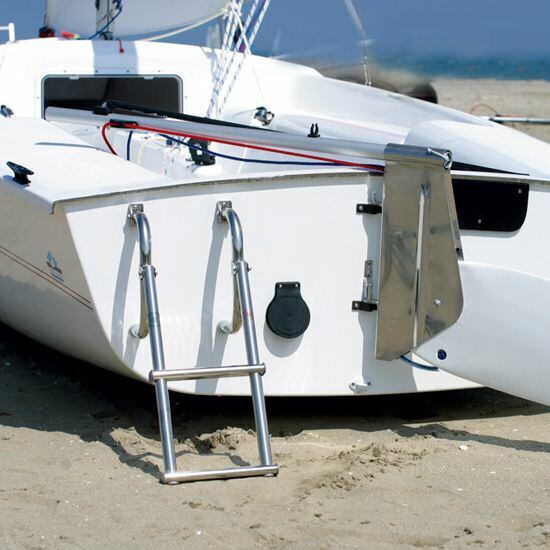 The wide range of available options can turn the TRIDENTE 16 into a small beach yacht.